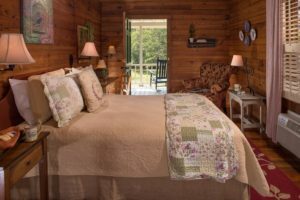 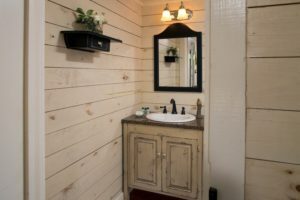 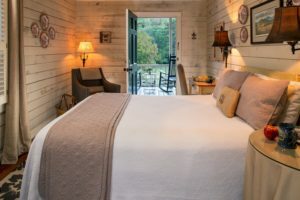 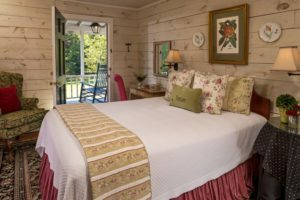 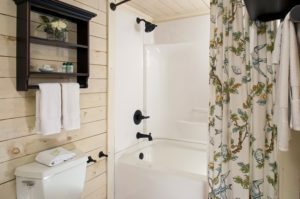 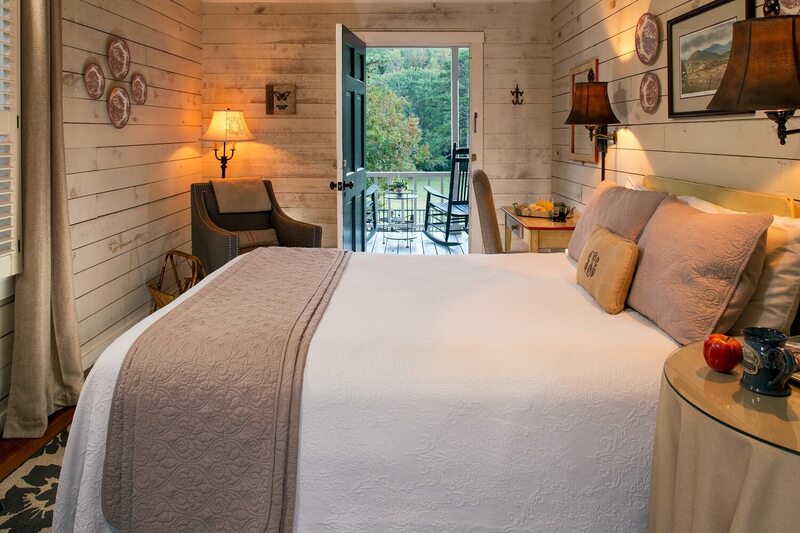 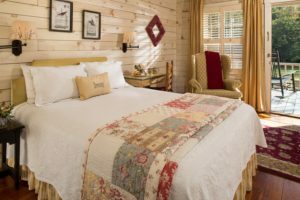 Interested in an intimate and romantic locale for your escape to the North Georgia Mountains? 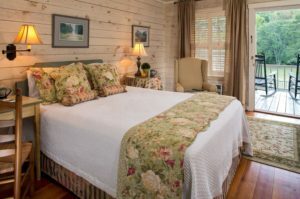 Our Queen Rooms are ideally suited for a brief or lengthy visit to our spectacular area with all the luxurious amenities and rustic beauty of our inn. 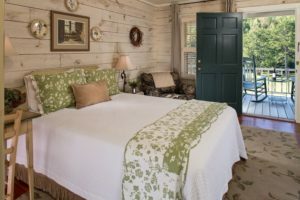 Our Queen Rooms are located on both the main and the second floor of the Inn and feature a queen size bed, desk with chair and a cozy sitting chair for relaxing. 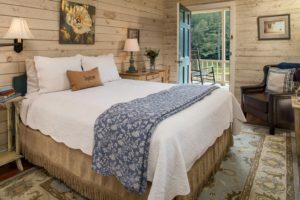 These delightful accommodations open onto a covered porch, which overlooks the spacious 12-acre meadow, pool, and lush perennial gardens.